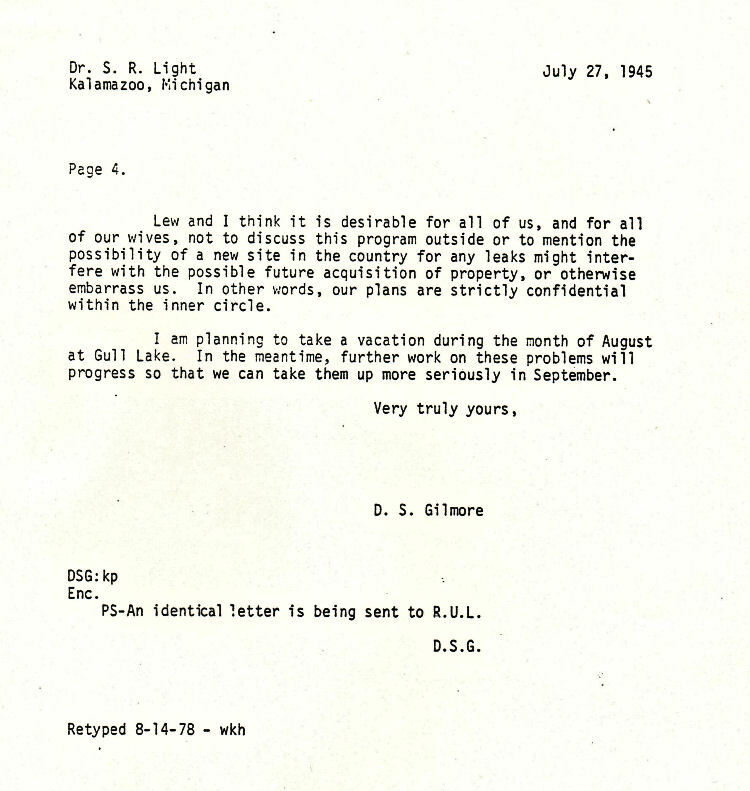 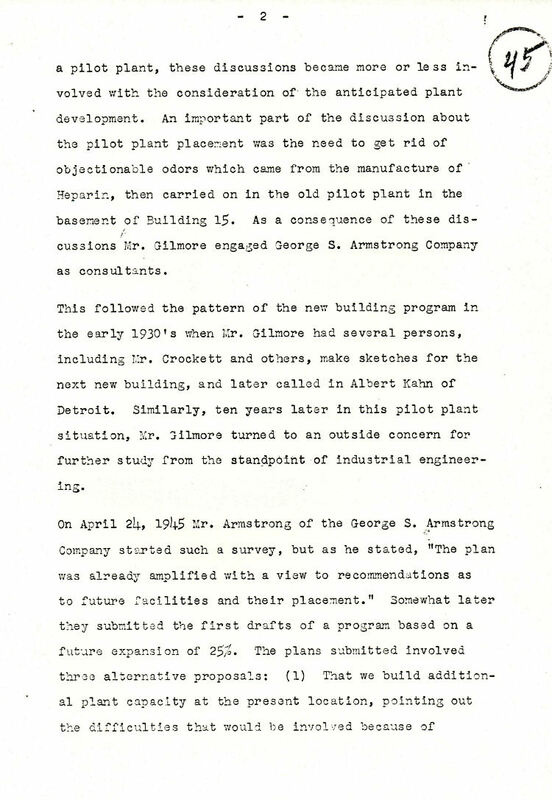 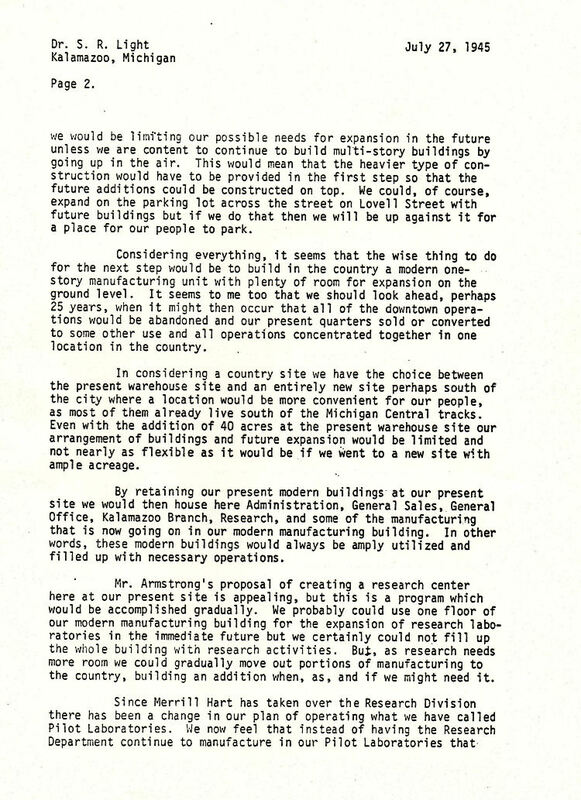 · April 1945 – The Upjohn Board of Directors, recognizing that a large increase in manufacturing capacity is needed, employs the George Armstrong company for a study of whether to build (1) in Downtown Kalamazoo; (2) on land already owned by the company on N. Pitcher St; or (3) at another location. 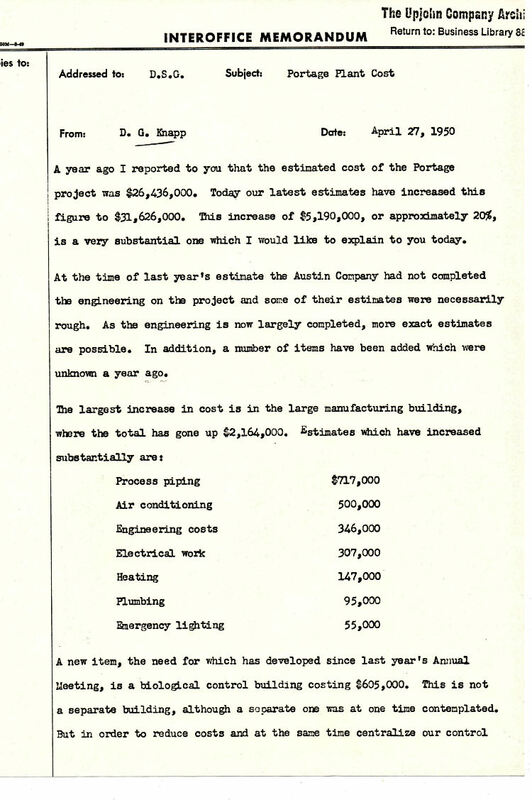 · July 1945 – George Armstrong delivers their report. 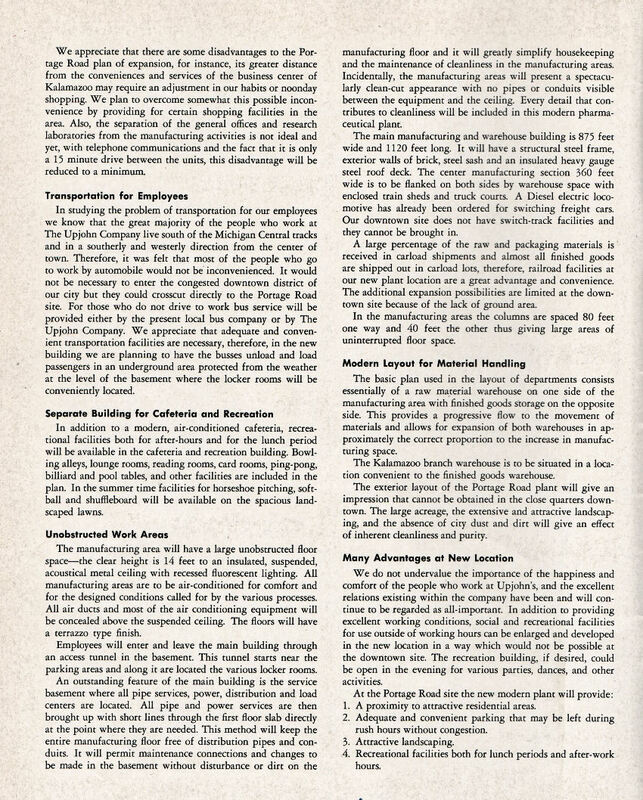 · August 1945 – the board selects option (3), building at another location. 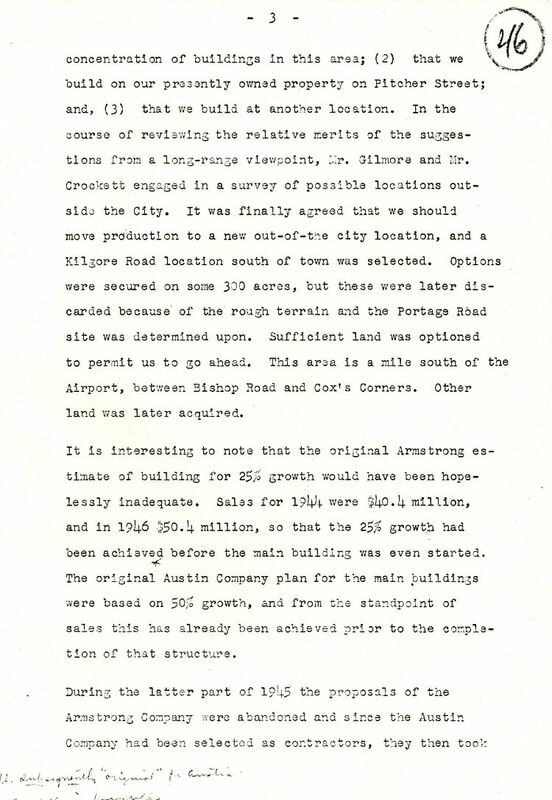 A site on Kilgore Road is selected and options on 300 acres of land are purchased (Kilgore Road was in the country at that time). 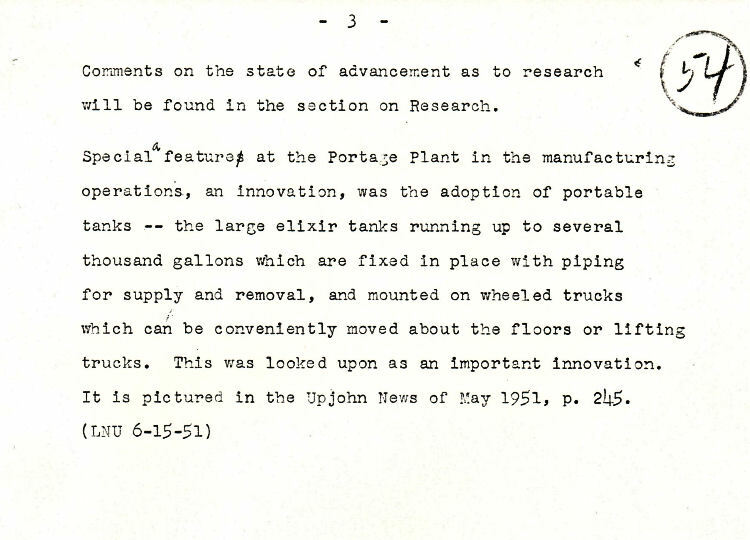 However, it is decided that the terrain is too rough and this site is abandoned. 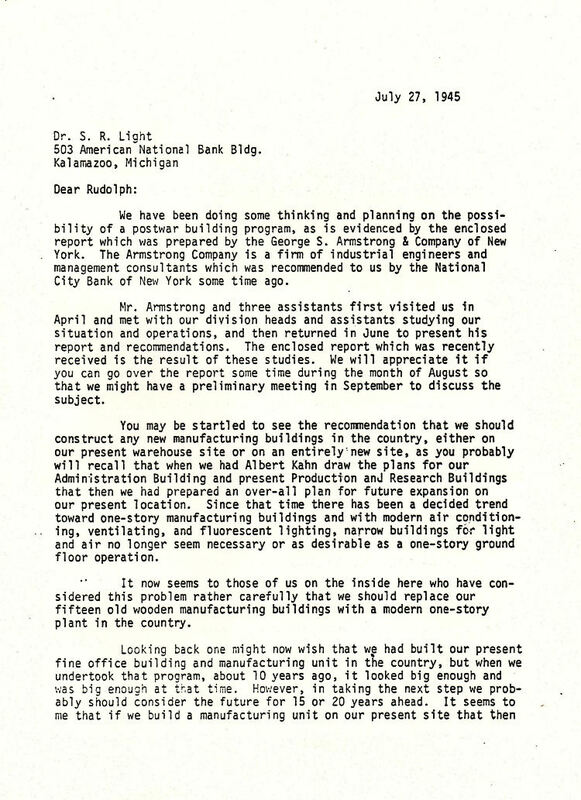 Land on Portage Road between Bishop Road and Cox’s Corners Corners (that's at the intersection of E. Center Ave and Cox's Drive) is quietly investigated and found to be suitable. 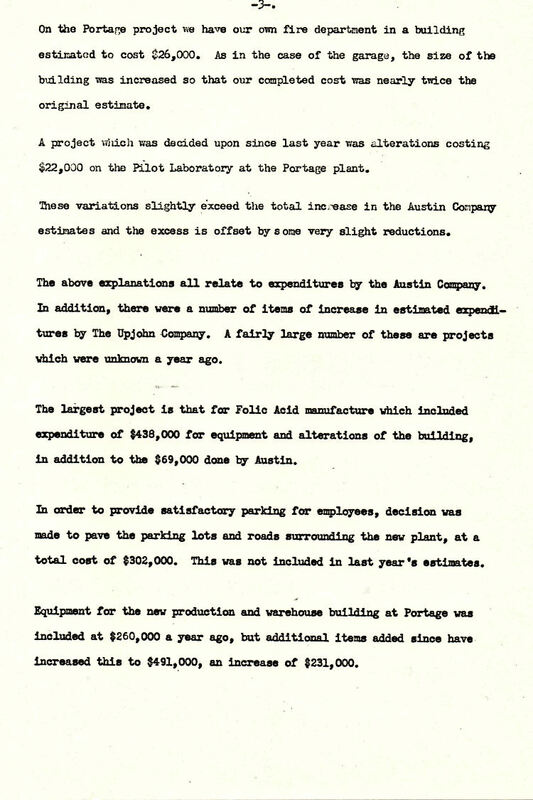 · Sept 1945 – the Board of Directors formally approves what is called “The Portage Road Project”. 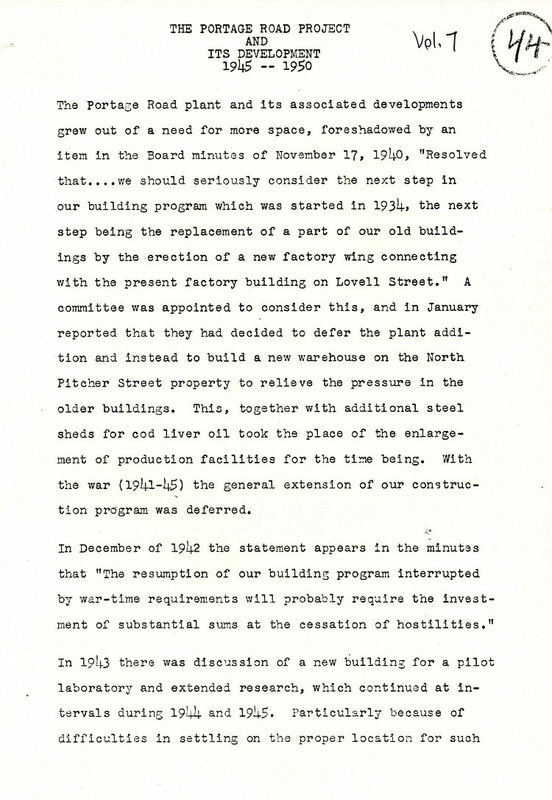 Quiet acquisition of 1500 acres of farm land follows this meeting. 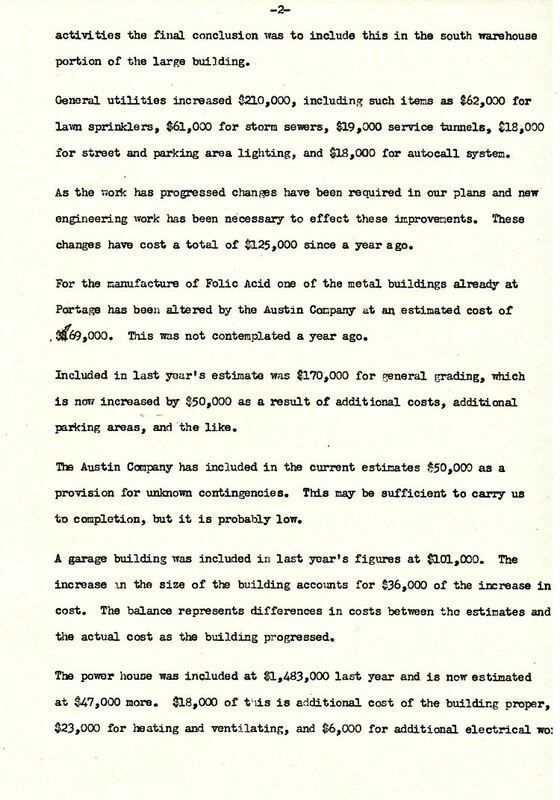 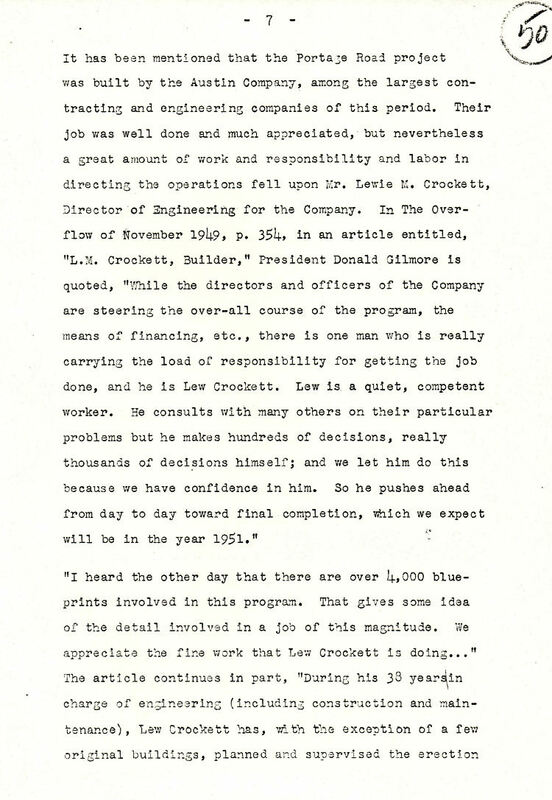 The Austin Company replaces the George S Armstrong Company as engineers for the project. 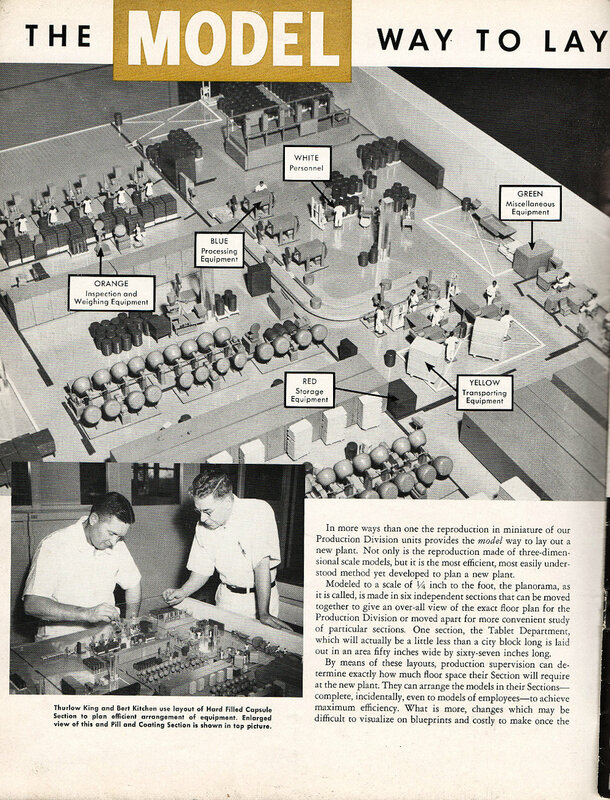 They are also the builders of the site. 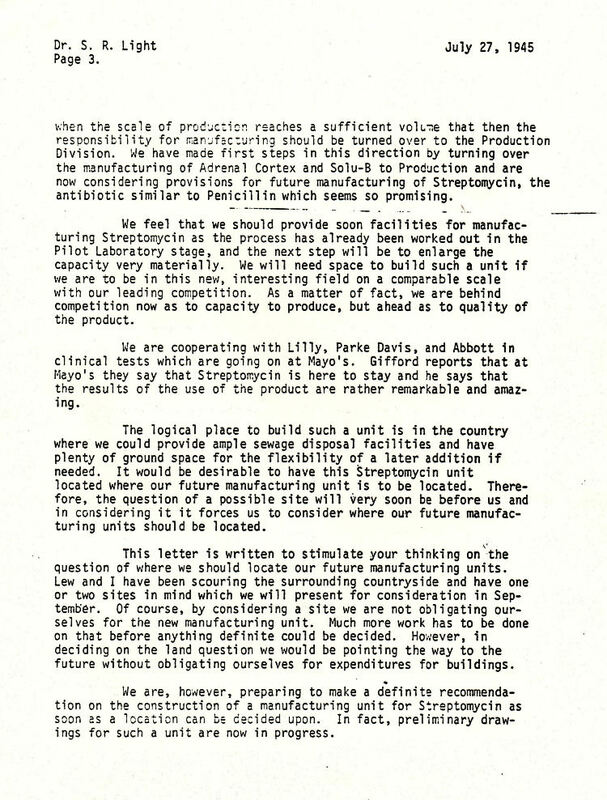 Manufacturing space will be increased by 50%. 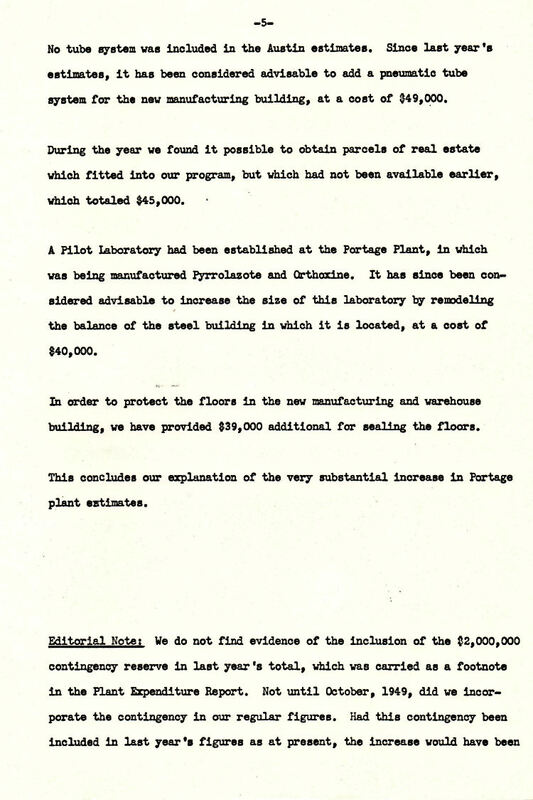 · December 1945 – the first land purchases on Portage Road are publicized in the Kalamazoo Gazette. 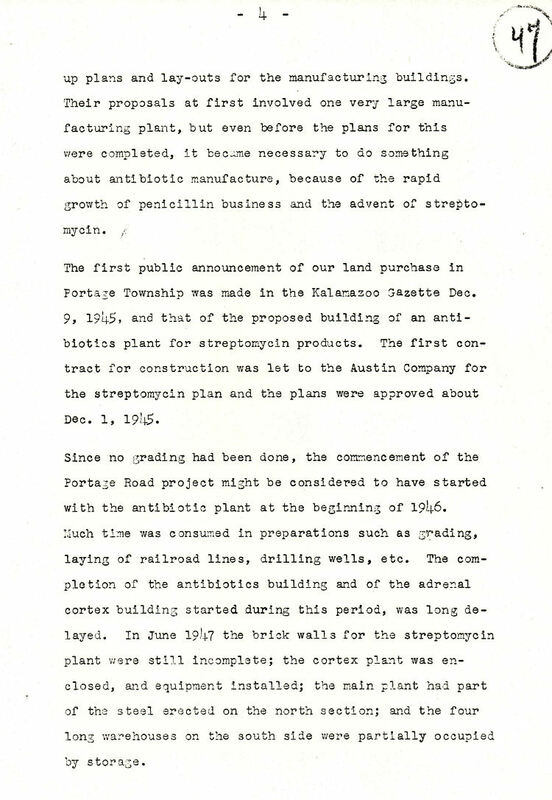 The first building contract for what was then called the Streptomycin Building (Building 38) is signed. 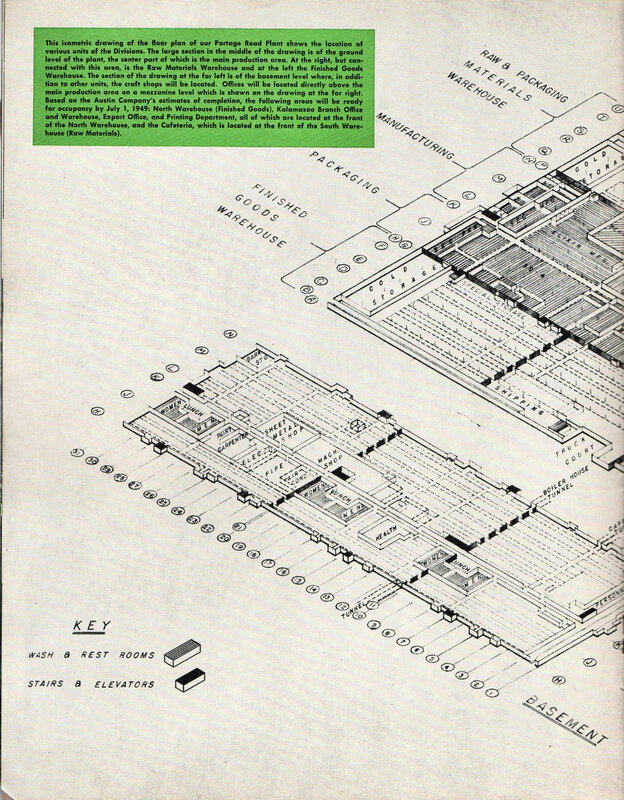 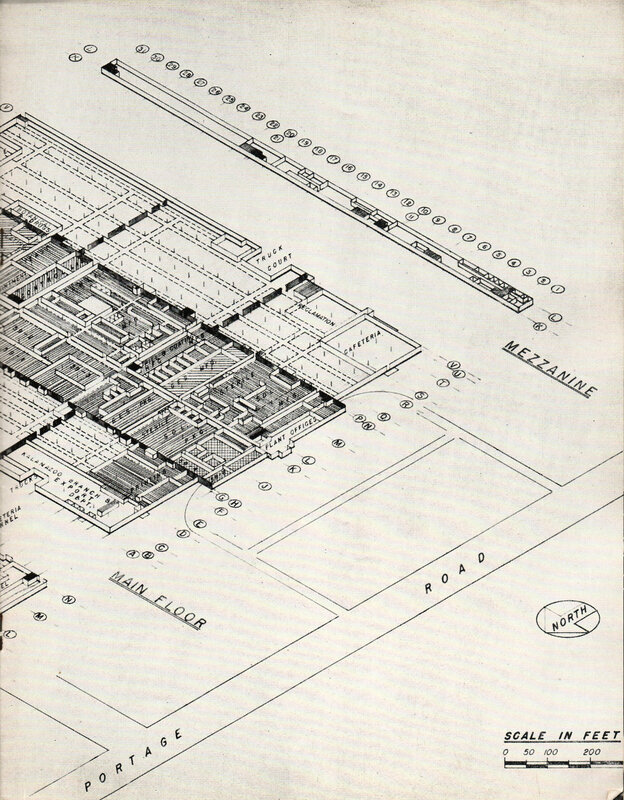 · 1946 – construction on Building 38 starts, followed by starts on other buildings. 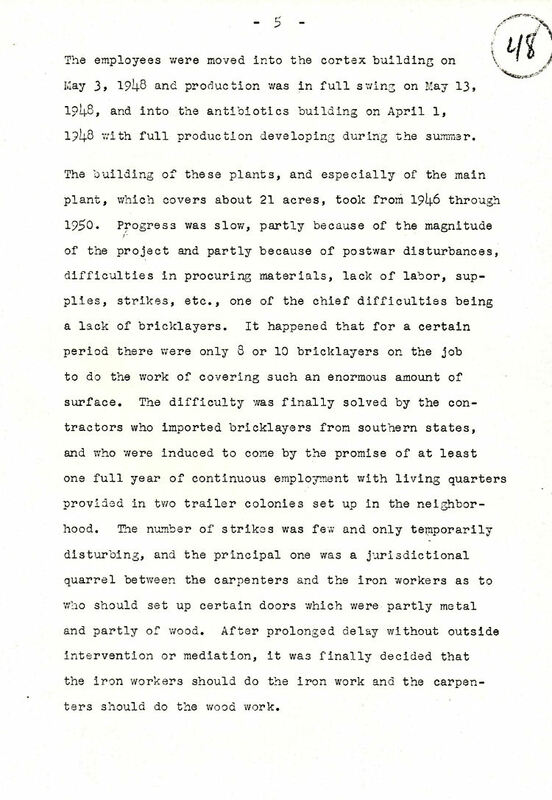 · 1946-1949 – construction proceeds slowly because of post-war shortages of building materials and construction workers. 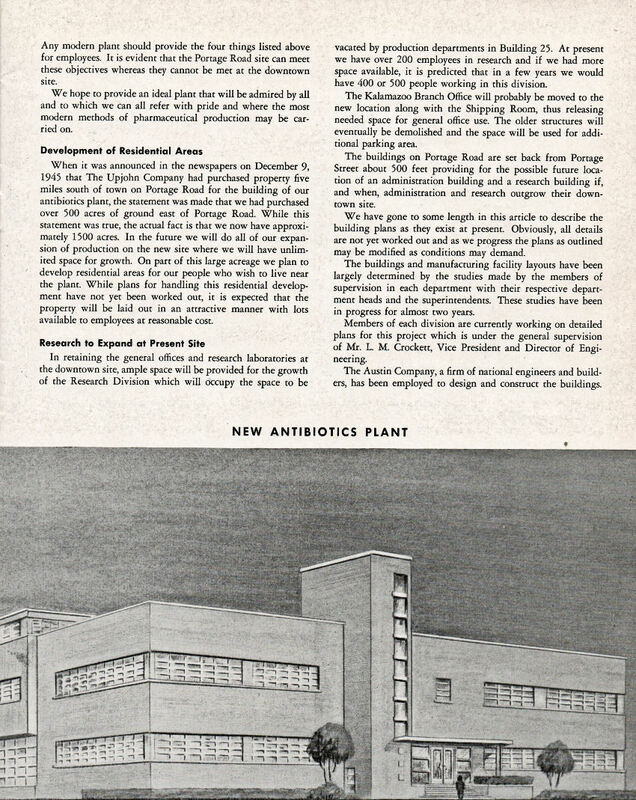 · April 1, 1948 – production starts in Building 38, now called the Antibiotics Building. 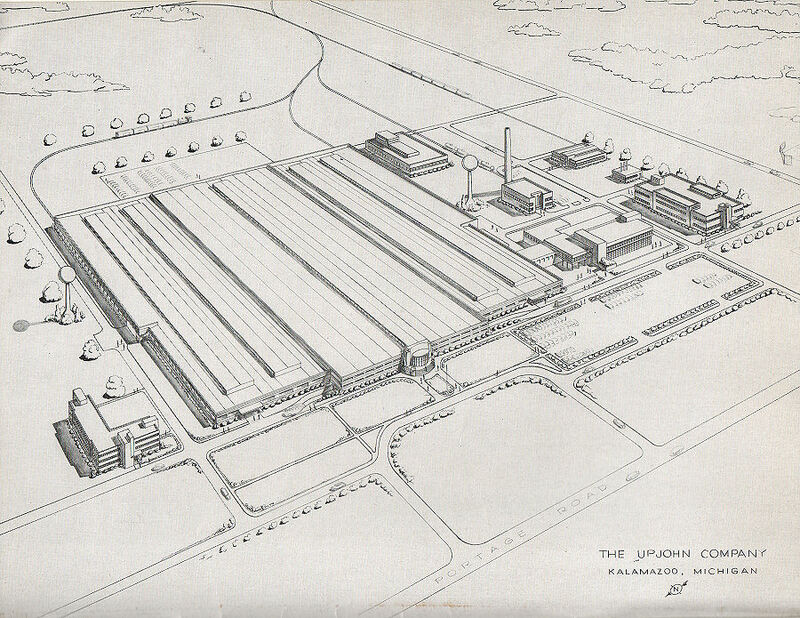 · May 3, 1948 – production starts in Building 39, then called the Adrenal Cortex Building. 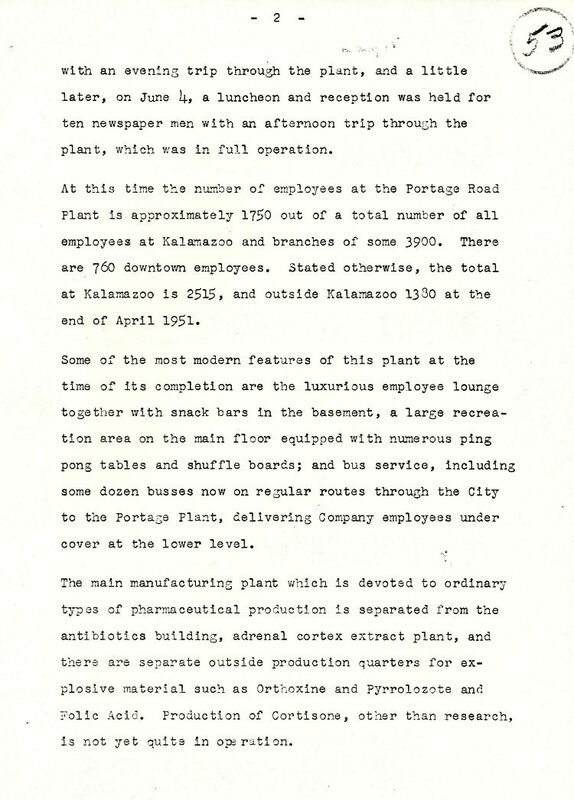 · September 1949 – Upjohn bus service starts, carrying employees from the city of Kalamazoo to the plant in a company-owned bus fleet. 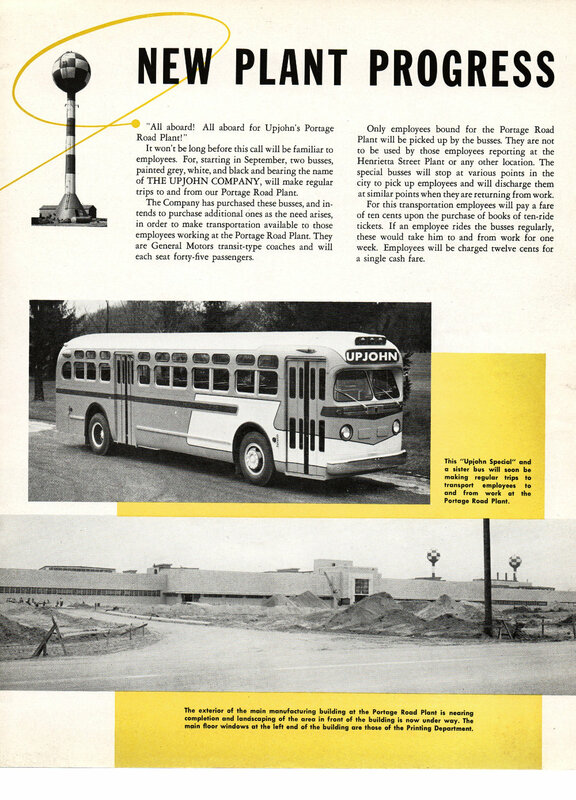 Use of company buses lasted until 1970. 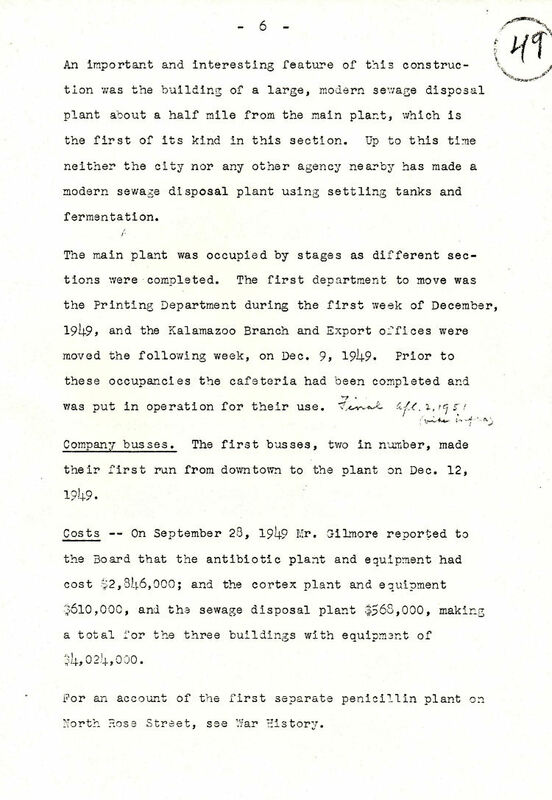 · December 1949 – the first group, the printing department, moves into Building 41. 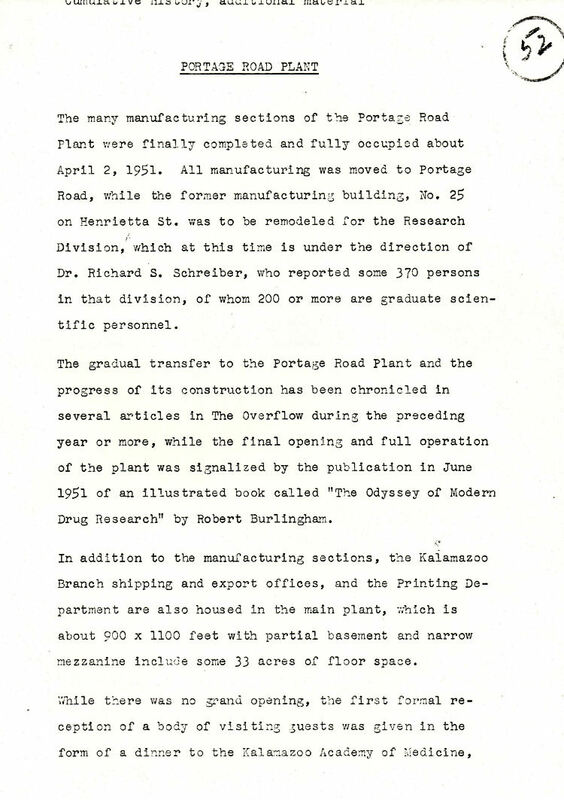 The second group to move in, also that month, is the Kalamazoo Branch and Export Offices. 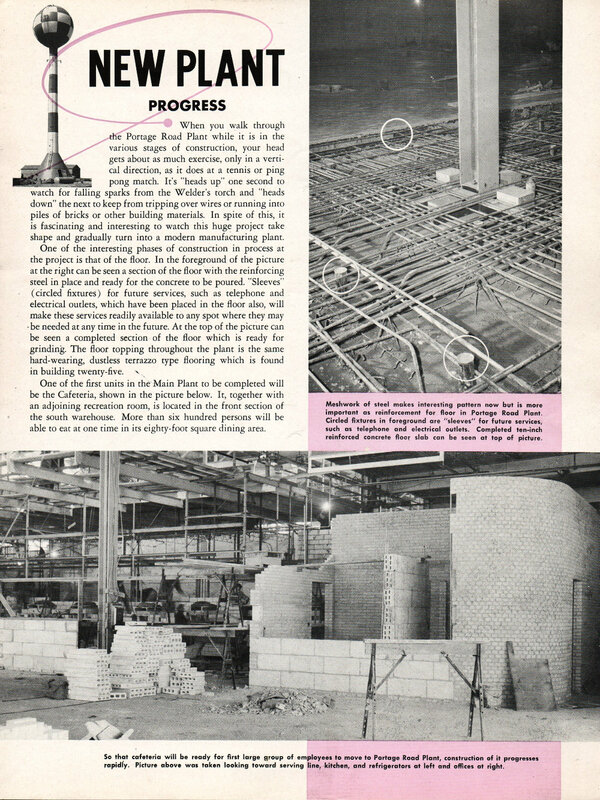 Also in 1949 the Building 43 power house starts operation, replacing a temporary powerhouse behind Building 38. 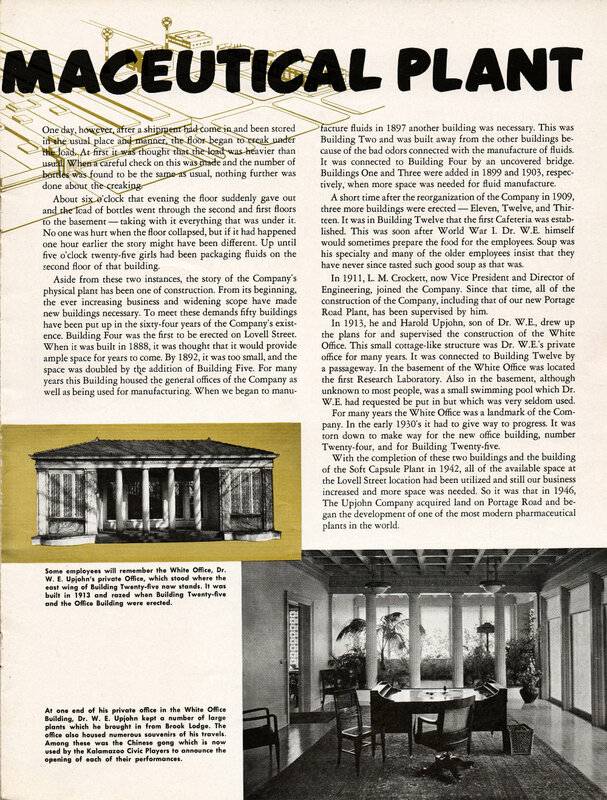 · April 2, 1951 – Building 41 is fully occupied. 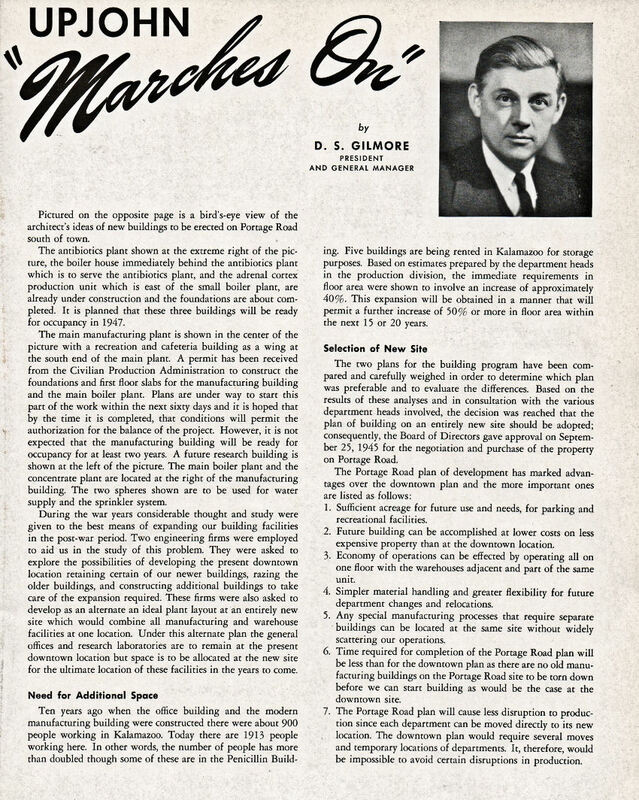 It has 33 acres of floor space. 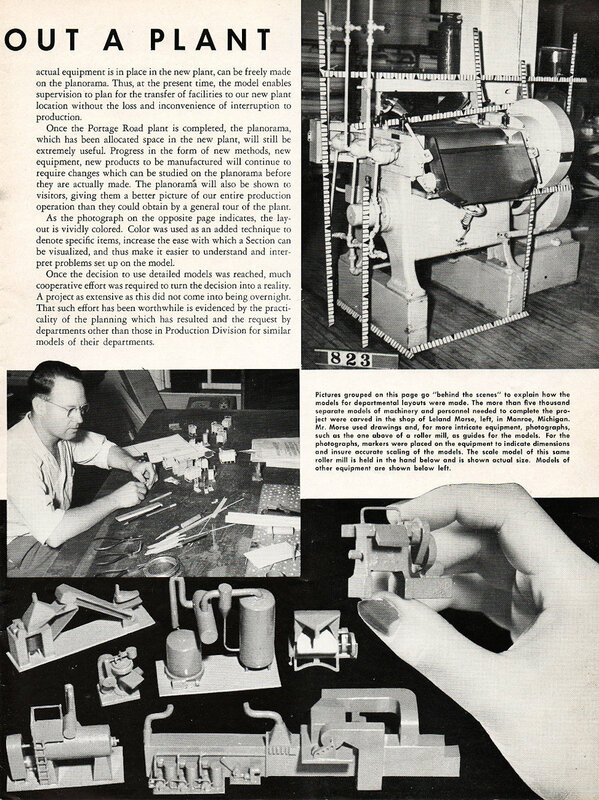 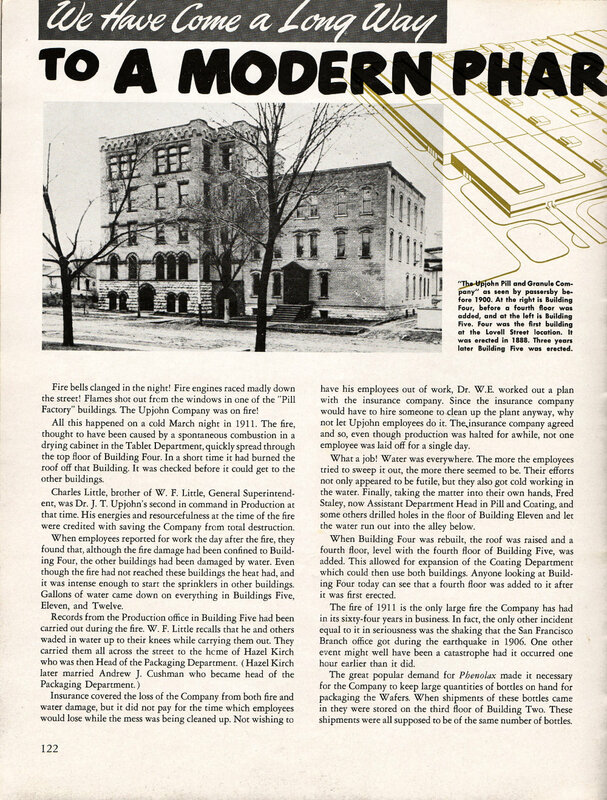 · June 1951 – the Upjohn News employee magazine devotes all 40 pages to the new plant under the title of “Here We Are”. 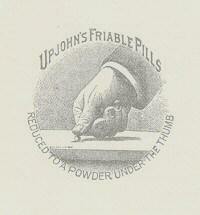 o The Upjohn executive sponsor was Donald Gilmore and the Upjohn project leader was Louie Crockett. 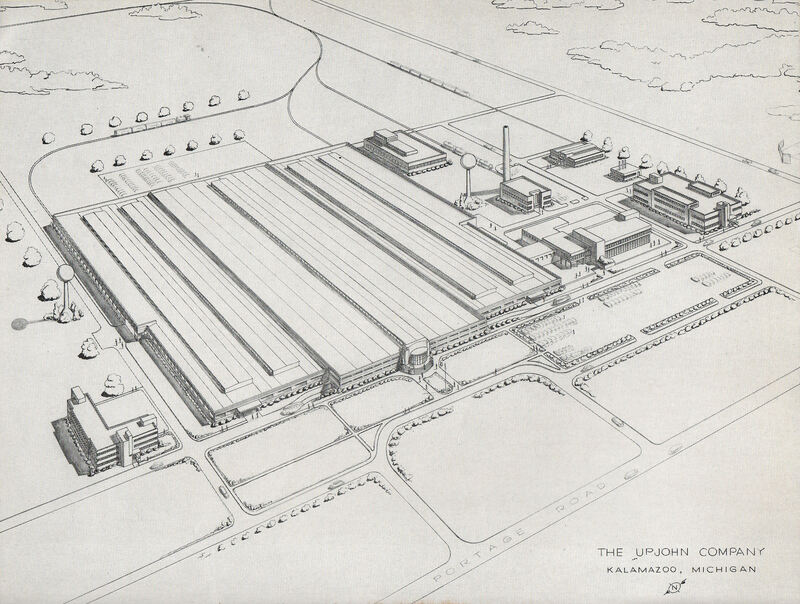 o There were 4,000 paper engineering drawings (blueprints). 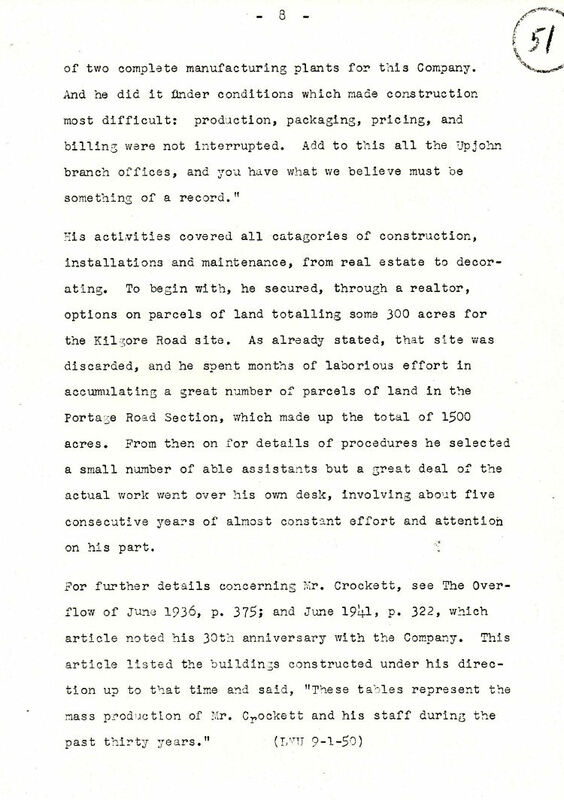 o Site construction took 6 years. 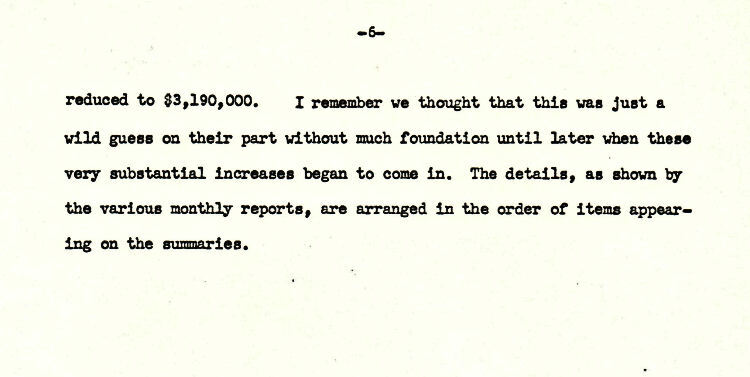 o There was no grand opening of the site. 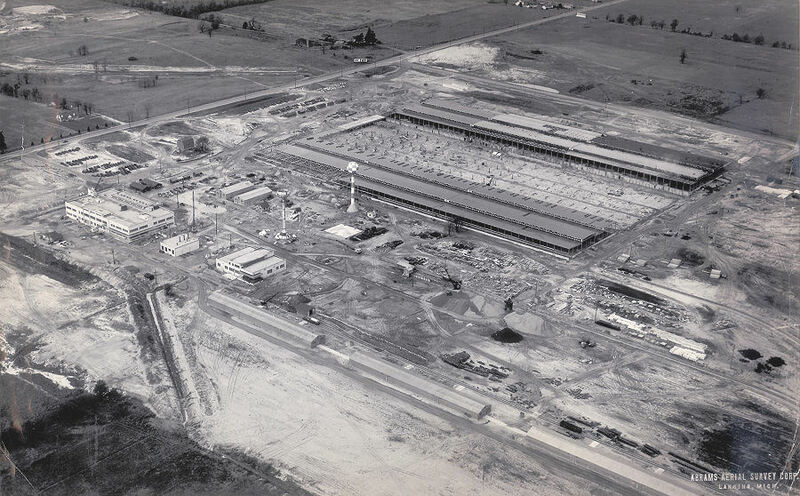 o There were 1750 employees when the site was fully opened in 1951.
o The total project cost was $31,626,00. 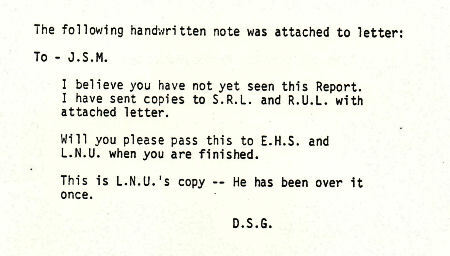 o Photos and video were taken through the project. 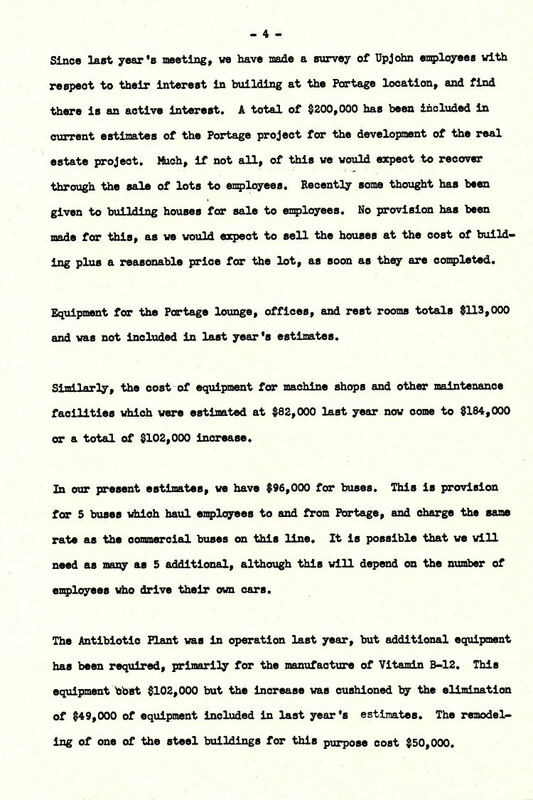 o Building 41 did not need any additional production square footage for 50 years, when the CAST (Center for Advanced Sterile Technology) opened in 2001 (the CAST is now called APN).